This is our very first wedding photographed in 2016. The morning is a Chinese customary ceremony at Puchong, followed by a garden wedding at Cameron Highlands. A more than 3 hours drive of distance and all happened in the very same day. The idea is pretty crazy. Cause typically, time is merely enough for an Asian customary wedding but it was a beautiful success with great support from families and friends that made it happen. There are challenges like moving 100 people to a secluded private villa on a hill and moving all the items to be used for the wedding etc. 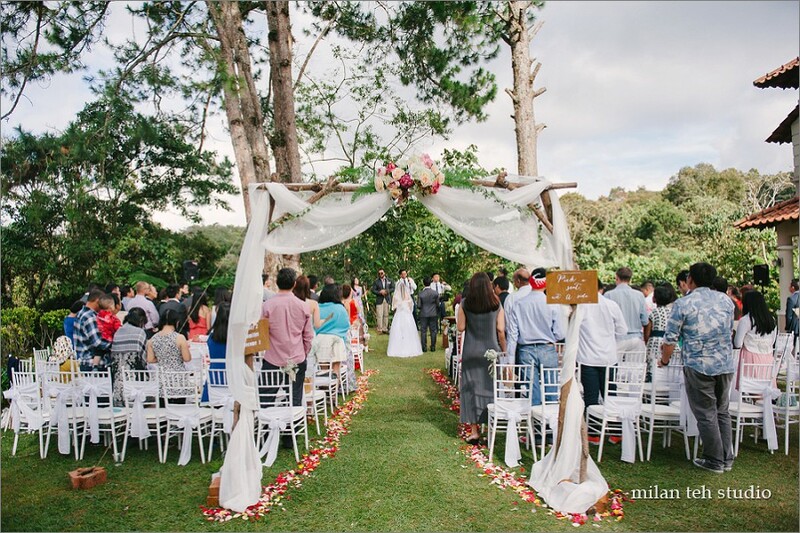 I love the outcome, a garden wedding at Cameron Highlands that is beautiful implicitly and explicitly. Guys in the picture below are from the Loh family. (if you still remember Rap Daddy's first and second episodes) This is their 'graduation picture' - all the guys in the family are married now with the last and youngest from the family tying the knot. What's really special is that, I was there photographing all three weddings of the family. I have never met the same pair of parents so many times before throughout my wedding photography career. I'm like the Loh family photographer, it did felt purposeful and fulfilling. It's always a great privilege for such a trust and everyone has been so kind to us like friends. Despite wedding being a happy occasion, I can't help being moved by the speeches especially learning from the parents' perspective - that the home will now be even more quiet with the last and youngest son leaving to his path forming his own family in a new house. Here I present to you what happened throughout the day of Jon & QPei's wedding in summary. &.b.t.w. - My room is about 32-33'C at night recently. It's very hot and I am missing the cold at Cameron Highlands! &.&.b.t.w. - 2016 will be the first year I'll be giving out angpow instead of receiving, sigh... What's Chinese New Year without receiving angpow?? haha..
&.&.&.b.t.w. - So this Loh family termed the sons' wedding to be a "Tri-Loh-Jee" (Jee being part of the name of Mrs. Loh). Now that I've posted the "third-episode" first, it somewhat felt like StarWars' sequencing in some way! Looking forward to share photo series from the 1st then 2nd and 3rd "Tri-Loh-Jee" this year. Check out Rap Daddy & Mummy's third episode too, a personalized video made for the son's wedding.